Bookies have got Cowdenbeath as odds on faves for this one but if we play like we did on Saturday at Stirling we will win this. Get your money on a home victory this weekend and lets hope Peterhead more than do the business at Berwick. 1-0 rovers for me. I made a few quid on the 10/1 odds at Stirling and hope for some more this Saturday and can forsee a 1-0 Vers win. Wow! The predictions thread started on a Thursday lunchtime when normally it's late Friday/early Saturday am if anyone can be bothered. Berwick showing signs of the pressure, the key to this saturday's game is keeping a clean sheet. Last couple of games against Berwick and Stirling we have scored first and been hanging on by our finger nails. If we keep a clean sheet we will win the game - Cowdenbeath are bang average. If we can get off the bottom by saturday night the psychological boost would be enormous for both ourselves and Berwick. It won't be easy. 2-1 Vers. Or having just seen the weather P-P! Cowdenbeath may well be bang average, I don't disagree. But they've won 4 x as many league games as the Rovers thus far and have more than double our points - and their wins and points are all 'real'. There's no doubt we've all had a wee much needed boost from the Clyde fiasco and optimism on the predictions thread will probably be even higher than normal. Get a win and by 5 o'clock on Saturday we could be off the bottom of the league! If this was made into a film it wouldn't be believable. Especially if yon, ahem 'journie' from the Herald wrote the screen play. 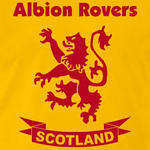 3 nil victory for the Rovers. Cowdenbeath field an unregistered physio. Seriously I can see us getting a draw on Saturday by half time. Then we will motor ahead in 2nd half. If Saturday is half as good as last week then its going to be a good one. Please please ask your neighbours and friends (Jordie you'll just have to ask neighbours😂) to come along and give us some vocal support. Happy New Year because last Saturday was definitely Christmas Day. A great day last Saturday put our destiny back in our own hands and we have a shot that I thought was long dead and buried. My worry is that we still don't have anyone we can be confident will get us a goal. I'll tip 0-0 but will still have a look at a wee punt on victory if the odds are decent. If the players can have a wee bit more composure and keep calm and have more ball retention , then they should get through this crucial 90 minutes. Looking at who we still have to face , then 3 points from this one is vital. 2-0 would do it over 97 minutes !! Let's hope we still have the 'bounce' factor after last weeks win. These are the games we need to get something from if we hope to stay up. We have a greater need of the points than Cowdenbeath so let's hope we have the greater desire as well. We don't score many so I'd love a 1-0 win but we simply cannot afford to lose this one. Any chance this game will need a pitch inspection with all the rain?